The Nikon Nikkor DX VR 55-200 mm f/4-5.6G is an entry-level telephoto lens designed for use with DX format digital SLR’s like the Nikon D80. This lens is designed to compliment an existing general-purpose kit lens so if you have the 18 – 55mm kit lens this one takes over where the other one stops, extending your coverage to an equivalent of 300mm. That’s a pretty respectable telephoto performance and will allow you to get really close to your subject. DSLR stands for digital single-lens reflex and is used for cameras that use mechanical mirror system. In this system the light is directed from lens to an optical viewfinder on the back of the camera. In digital photography, the image is not caught by a film but through a sensor. This device is produced by CMOS technology, which stands for complementary metal oxide semiconductor, with an active pixel sensor that transform light into digital signals and the photos look lively with the resolution of 14-bit. 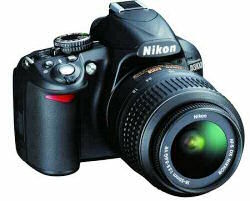 One of the most popular DSLR cameras is the Nikon D5100. This device is not an entry level model, but a mid-range digital camera: it offers better features then the Nikon D3100 like higher resolution and it costs less then the Nikon D70. The Nikon D5100 camera sometimes is bundled with 18-55mm VR lens: this optic is a good lens for who want to learn digital photography.